5.8 inch Large Screen Size with High-definition Display. Colorful screen design, makes the picture richer, and easier to read. Automatic brightness adjustment mode, makes no dazzling during driving. Automatic switch with the vehicle, can effectively protect the vehicle battery. 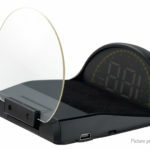 With its HUD head up display, drivers can put the phone on it and use navigation system of the smartphone for driving safely. 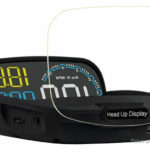 AUTOOL X360 HUD is a helpful tool for timely check the pressure and temperature of tires, provides the real time data for users. 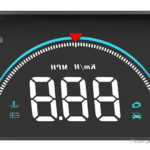 The HUD&TPMS fit for 12V DC Vehicle System which have standard 16pin OBD II or EUOBD models, and can be used as long as being plugged. With its automatic alarm and display, can help drivers avoid tyres puncture and leakage, save fuel, reduce tire wear and traffic accident, protect you and your family safety. 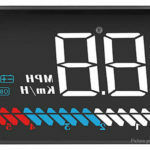 Combined with HUD perfectly, the functions of the TPMS include air leak alarm, low voltage alarm, high voltage alarm, high temperature alarm, and sensor low electricity alarm. 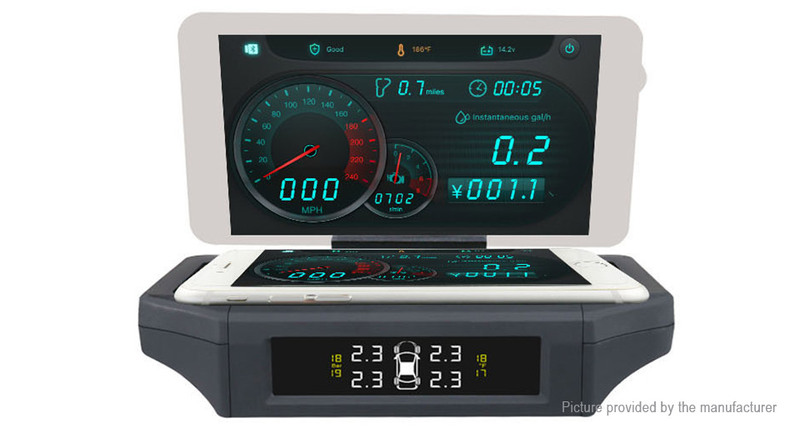 Combines two functions of HUD and TPMS(tire pressure monitoring system), which makes that the drivers not only can drive without head up, and keep track of the vehicle dynamics, but also can see the vehicle tire state, while the TPMS with LCD color display, can make the vision clearly. 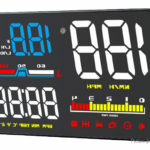 Rich display content: vehicle speed, engine speed, water temperature, voltage, instantaneous fuel consumption, average fuel consumption, mileage measurement, shift reminder, fatigue driving reminder, low voltage alarm, high water temperature alarm, over-speed alarm, engine fault alarm, clear fault code, free switching between kilometer and mile. 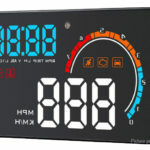 Abundant Display: vehicle speed, engine speed, water temperature, voltage, instantaneous fuel consumption, average fuel consumption, mileage measurement, shift reminder, fatigue driving reminder, low voltage alarm, high water temperature alarm, over-speed alarm, engine fault alarm, clear fault code, free switching between kilometer and mile.